Observer Doubles on Capacity and Ease of Use | VIAVI Solutions Inc. The latest Observer Platform release marks the industry’s first 40 Gb wire-rate analytics, traffic capture, and storage solution with real-time reporting. The intelligent user interface features an intuitive keyword search function and pre-engineered network, application, and UC workflows that lead you right to the source of any network slowdowns, anomalous traffic, or service degradation. Team collaboration and cross-silo sharing are facilitated by user-friendly performance dashboards. The Observer Platform features a new easy-select line of form factors designed to scale with your organization, through virtualization to the cloud and beyond. From a single appliance with analytics to over a petabyte of reliable packet capture, the Observer Platform supports some of the world’s largest data centers. Whether obstacles to heightened performance are due to a resource capacity issue or a malware attack, the industry-leading, packet-based intelligence of the Observer Platform ensures that you have all the data you need to see IT and fix IT – fast. 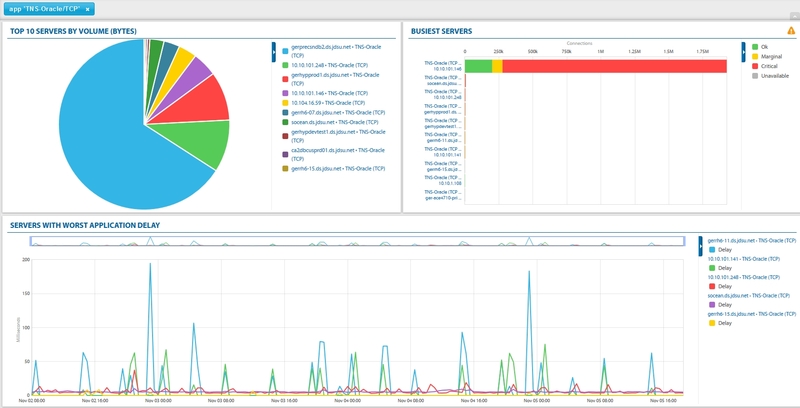 The Observer Platform is a comprehensive network performance monitoring and diagnostics (NPMD) solution ideal for maintaining peak performance of all IT services. Observer GigaStor is a network analysis tool that comes in a variety of form factors, including rack mount, portable, and virtual. Capable of storing up to a petabyte of traffic for later analysis, GigaStor helps ensure optimal network and application performance. Observer Apex collects and aggregates data from probes and GigaStor units presenting users with three pre-defined troubleshooting workflows into network, application, and unified communication for fast resolution of service anomalies. Discover the right GigaStor for your organization’s size and needs. An array of options in an assortment of form factors, network speeds, port counts, and capacities are available. Learn how to achieve comprehensive network visibility and faster troubleshooting with this on-demand recording. This helpful recording will show you how to find it and fix it fast using the advanced features of the Observer Platform.